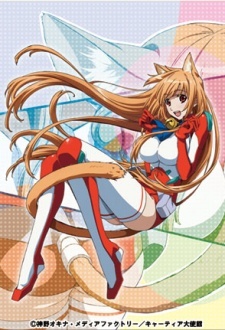 Alternate Titles: Cat Planet Cuties,Asobi ni Ikuyo!, Let's Go Play!, Asobi ni Ikuyo: Bombshells from the Sky,あそびにいくヨ! The story revolves around Kakazu Kio, an ordinary high school freshman living in Okinawa. A girl with cat ears appears before him during a memorial service for one of his family ancestors. The girl calls herself Eris and claims she is an alien. Before long, fanatical alien worshipers and a mysterious government agency are in hot pursuit of Eris, but Kio's childhood friend Manami - who wants to follow in her father's footsteps in the CIA - captures Eris. Kio finds himself having to protect Eris from everyone. Watch Asobi ni Iku yo! Episodes Online at Animegg.org. Asobi ni Iku yo! is available in High Definition only through Animegg.org. Choose an episode below and start watching Asobi ni Iku yo! in Subbed & Dubbed HD now.